bell street journal: Edmonds Arts Festival is Next Weekend! Edmonds Arts Festival is Next Weekend! 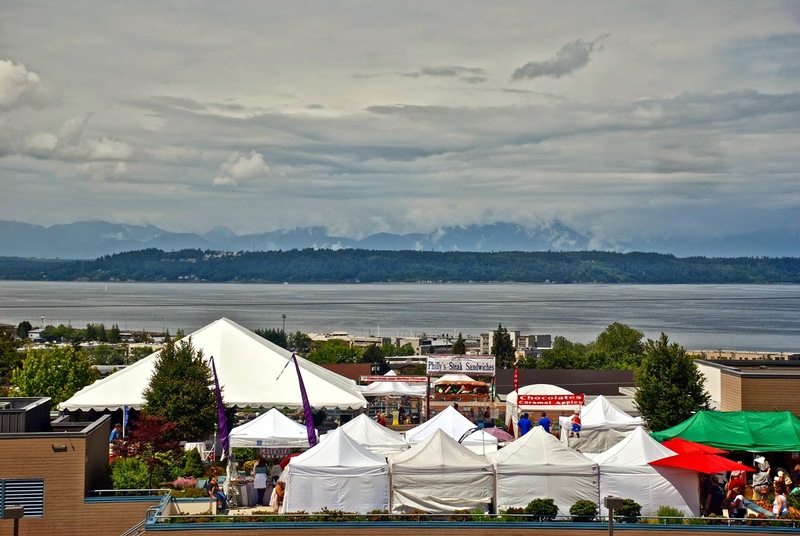 Next weekend is the Edmonds Arts Festival, Father's Day weekend, June 13th through the 15th. Every year the Festival gets better and better and I know that this year's edition will not disappoint. There really is something for just about anyone. Besides three galleries full of juried art (paintings, prints, drawings, photography, glass, jewelry, sculpture, woodwork, ceramics, enamel work and on and on), the Festival offers a variety of art vendors. You can find everything from paintings, photographs, music, culinary products, leather goods, glass and ceramic wares, clothing, sculpture....the list is varied and extensive. For those of us who volunteer our time to make the Festival happen, and the entire "show" is a volunteer run enterprise, this week before is exciting. Yesterday and today the artists who were juried into our three galleries delivered their art to the Frances Anderson Center (700 Main Street in downtown Edmonds -- directions and parking information here), where we hold the Festival each year. Volunteers waiting to check in juried art in the hallway of the Frances Anderson Center. Volunteers discussing where the paintings, prints and drawings should be hung in the largest gallery. Eve and Barbara, two of our faithful volunteers, were waiting for more art to be delivered to the main gallery. Without volunteers such as these two, long time repeat helpers, the Festival would be impossible to operate. There are over 500 individual job shifts each year, each filled with amazing volunteers who give generously of their time and energy, to bring this special event to fruition. Mary and Alice, two more volunteers, who checked in photography for us this year. Edmonds is blessed with a remarkable group of civic-minded people who give and give and give of their time, volunteering for a myriad of events throughout the year. This charming couple, Margaret and Mike, not only volunteer for the Festival but also for the Historical Museum and who knows what other organizations are grateful for their generous help? I know that they have been regular volunteers for longer than I have been involved with the Festival, well over ten years. We even had specialized volunteers who spend countless hours each year hanging the show in a very short period of time. They make all the remarkable artwork look even better by displaying it carefully though out the galleries. Here's Susan, who has worn a number of different volunteer hats over the years. Where ever you go next weekend at the Festival, you will see an army of smiling, helpful blue-shirted volunteers who will be happy to direct you to the Kids' Create area, the food vendors, art vendors both above the Library on the Plaza and on the field. They will point you towards the main stage for a wide variety of live entertainment all weekend long. They will show you the way to the beer and wine garden, where you can sit and enjoy an adult beverage. Don't miss the Festival Store with fun and practical items for sale, including this year's poster by David Marty. Come see the outstanding artwork of children in the Edmonds School District boundaries in the lower level of the Anderson Center. Hours are Friday and Saturday, June 13th & 14, 10 AM to 8 PM, and from 10 AM to 6 PM on Father's Day, June 15th. This remarkable event is free. Please come spend some time with us---have something to eat, listen to some great music or watch some dancing, take your children to the Kids' Create area and let them participate in the special projects designed for young artists. Please take a stroll through the Juried Galleries and the Student Art areas and see the creativity and variety of the art on display. And please remember, should you decide to make a purchase, you will be helping to fund scholarships in the arts, public art and art programs in local schools. We'd love to share all the fun of the Festival with you! Please check the website, Edmonds Arts Festival for more information. City law prohibits any animals except certified service dogs from the Frances Anderson Center grounds. Good for you. you do some of the coolest things. I sure with we lived near each other. Sounds like a great event and you and all those wonderful volunteers are to be congratulated for the work you do in the community. I would love to visit if I lived nearby. 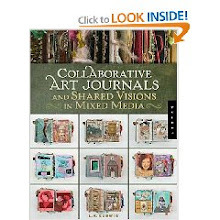 2006-2014 by Michele R. Unger. All rights reserved. Not for commercial use. Please do not re-post or pin my original photos and/or writing without written permission.